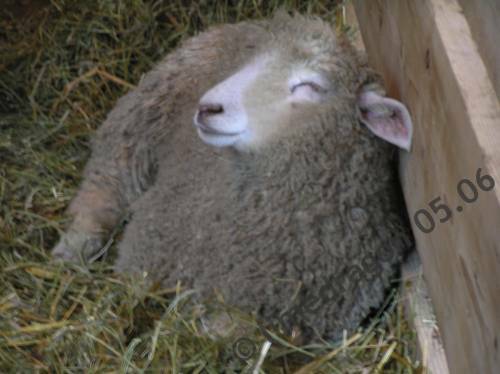 Saturday, my parents and I went to Shepherd’s Harvest. It was overcast and cold enough that we wished we had mittens or gloves. (There were some for sale, but we didn’t buy any.) So, no MDSW good weather mojo, but at least it wasn’t pouring rain like it did at NHSW (look at the 2nd and 3rd pictures here; and don’t forget to scroll down for an awesome family portrait!). 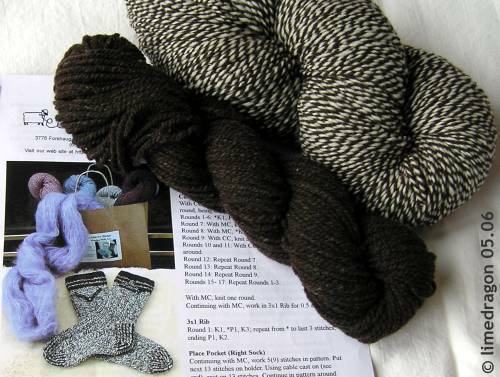 There were a lot of local knitbloggers there all weekend, but I didn’t see any familiar faces in the crowd. 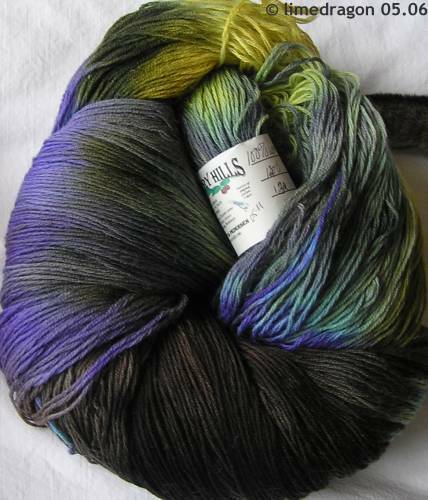 I found some cards and little SP gifties, but I also bought a POUND of yarn from Blackberry Hills. 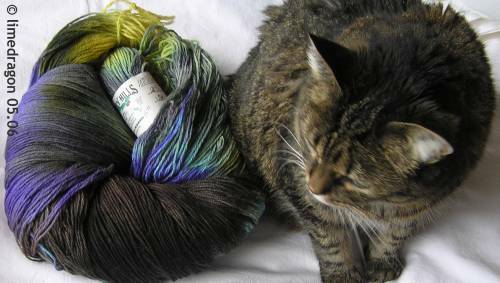 Here’s one view with Munchkin sitting next to the skein. 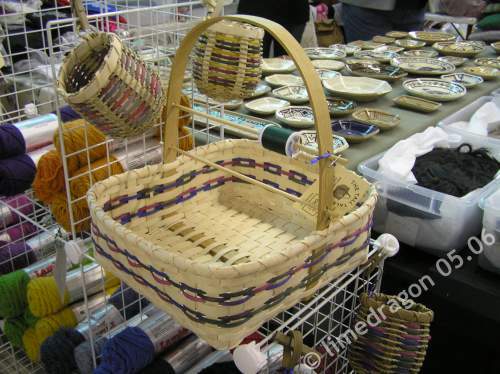 Mom absolutely loved (but didn’t buy) this sewing basket from Tall Tale Yarn and Basket Shop. 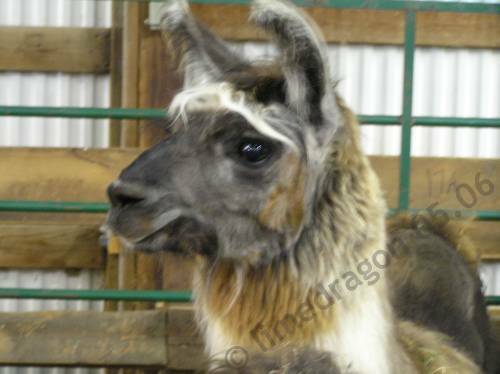 We saw cute angora rabbits, cashmere and angora goats, so many sheep we can’t remember the breeds for most of them, llamas, and a few alpacas. Two of my favorite pictures. Mom won a door prize! We picked it up right before leaving. 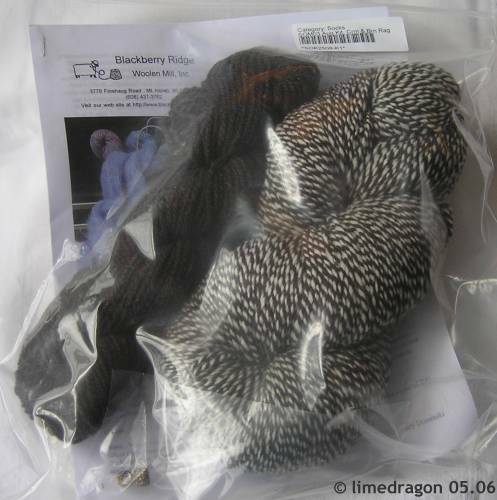 It turned out to be a Blackberry Ridge sock kit, woohoo! 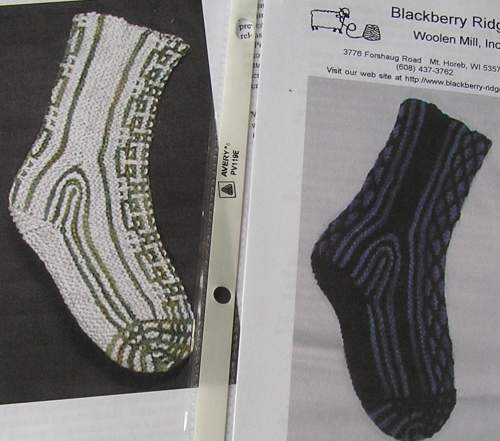 “Shopping Socks” with pockets, Sock of the Month, August 2003. LOL! Adorable little ‘phantom paw’ I’ve always thought those little teeny paws were the cutest part of a kitty. 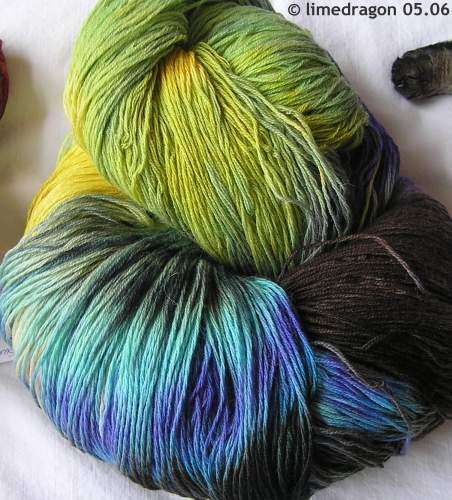 I want to see how your pound of yarn knits up! Neat colors! Hi, Grandma and I enjoyed reading the daily entries and the pictures. You do a great job. She also got to look at the cards you sent . She says Thank you very much.